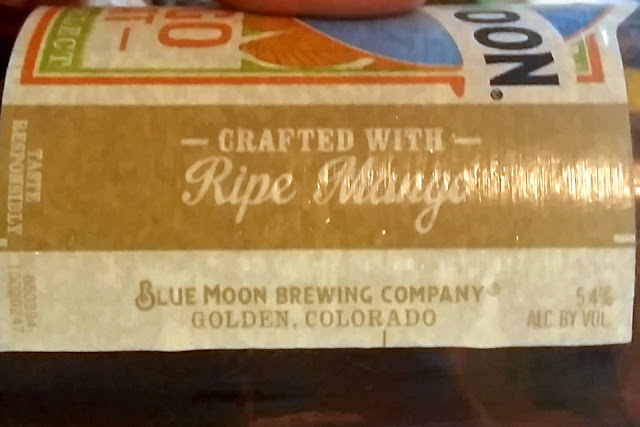 I had Blue Moon Mango Wheat for the first time last June. Blue Moon Mango Wheat bottle. Side of the label. While my notes indicate I seemed to enjoy it, it also seemed as if I was tired and consequently may have enjoyed the beer less because of it.